Mom has always been the world for most of us. She is someone who sees us through the stinking days, copes with our crazy adolescence and stands by no matter what. Her unconditional love, phenomenal support through the countless life challenges and sincere thoughts of encouragement has always shielded us. So on Mother’s Day, let’s celebrate the mom who accepts us for who we are. It’s needless to say that Mom’s deserve special love and adoration throughout any day of the year but Mother’s day is a chance when you can really feel inspired and express your love and gratitude towards this amazing being. We all know that no celebration is complete without gifts. Choosing a gift for mother’s day can be really tricky as you will want it to strike the right note and dread going wrong with the selection. Flowers, chocolates and jewellery are all fine but why not go with something spontaneous that bursts forth your personal affection for her. A study also proves that most Moms’prefer getting something that is handmade by her child. The one personal craft that is sure to catch your mother’s heart is a candy, jam or a cookie jar replaced as a jar full of loving notes to say how she turns your world around!This might take a little more planning than the others, but is a great way to show mom that you love her with a little effort and a lot of personality. –	All you need is an empty candy/ cookie/jam jar, glue, some colours, pretty paper, a pen, a printer and some love. –	Choose from a variety of our printable messages, or write out some of your best memories on small pieces of pretty paper. –	You can include things she’s done or said that made a difference to you, favourite memories, stories, advises, tiny little titles and much more. 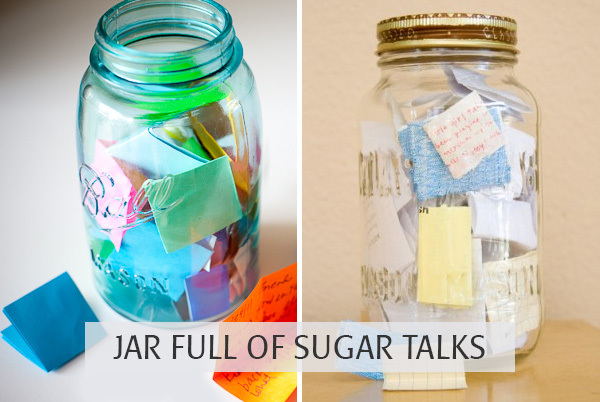 –	Put all these lovely notes neatly folded in the jar. If you want to add a little bling to the idea then roll the notes and place a tiny ring around it or tie it with a ribbon. –	Finish it by print out a label for the bottle or write whatever message you’d like on the label. –	Place label on bottle. All this and it makes a fun little gift, for Mum to “munch” on and send a sugar rush running through her veins.